One of the few teams in the league this season that has managed to combine style and results, Tottenham have had many stars in the Pochettino led revolution. Moussa Dembele has been one of the form players, quite a surprise considering his prior record at Spurs. Danny Owen speaks about the matter. After eighteen months in charge, Mauricio Pochettino’s plan appears close to completion. Last sunday’s 4-1 win against West Ham, coupled with excellence at the Emirates, the multi-goal hammerings of Bournemouth and Manchester City, have only added to the growing belief that Tottenham can finally clear that final hurdle. After all, Champions League qualification, after five fifth place finishes in a decade, has proved notoriously elusive. Displaying energy, efficiency, inherent interchanging combined with an outstanding collective awareness, Tottenham’s early-season excellence shows no signs of slowing. A far cry from the fragile, eternally transitional shambles of recent years, Pochettino has interspersed the bulldog spirit of Harry Redknapp and Tim Sherwood with a continental strategy a la Juande Ramos and Andre Villas Boas. Yet, its Pochettino’s penchant for transforming water into wine, good players into great that underpins his success. Starring, and scoring, against France at Wembley a year after battling Port Vale in League One, Dele Alli is well placed to pass verdict. Pochettino’s unshakeable conviction in his embryonic squad, the youngest in the Premier League, has finally given Spurs a consistent philosophy. An identity. After all, he has transformed Eric Lamela into a pedigree workhorse, Christian Eriksen into a probable world-beater, Kyle Walker and Danny Rose into two of the league’s most reliable full-backs. And that’s without mentioning a certain Chingford-born goal-machine. However, Pochettino takes pride and place on Roy Hodgson Christmas card list, with Alli, Kane, Ryan Mason and Eric Dier all making their England debuts since 2014, one man in particular owes his career to Spurs’ motivating mentor. While Paulinho, Roberto Soldado and co struggled to settle in a volatile habitat, no one epitomises Tottenham’s vexing inconsistency quite like Mousa Dembele. Arriving for £15million in 2012, Dembele was supposed to be a talismanic figure at White Hart Lane, plugging a Luka Modric-shaped chasm in Andre Villas Boas’ revamped midfield. Although different in style, the fact the task seemed imminently possible was testament to the Belgian’s nascent potential. Blending deceptive skill with natural pace and power, he ticked all the boxes of a midfield general, the crux of a potentially title-chasing side. Yaya Toure-lite if you will. After all, according to Martin Jol, his manager at Fulham; “Dembele is probably the best player on the ball I’ve ever seen.” After four decades in the game, it takes something special to stand out. Yet, three years later, Dembele’s ample brilliance is only now apparent. Starting eight league games this season, he is already just two behind 2014/15’s tally, proof of his renewed form and fitness. Against West Ham, Dembele delivered a performance of unfathomable class, unrecognisable to the lethargic, frustrating figure often seen plodding across the White Hart Lane turf in recent years. Dembele, two parts playmaker, one part destroyer, completed 5 out 6 dribbles, won four tackles and maintained a 90% pass completion rate throughout one of the most complete individual displays of the campaign. Meanwhile, Harry Kane’s swivel-strike opener, his first of the afternoon, owed much to the Belgian’s overlooked involvement. His innate, quick pass into the feet of Heung-Min Son bypassed West Ham’s high press, opening up space in front of the well-fortified back four for first time in the game. Against Arsenal, too, Dembele dominated the midfield, powering past opponents with supreme swagger. Even Garth Crooks, the epitome of British pessimism, could hardly find a fault. Meanwhile, scoring in successive games against Bournemouth, Aston Villa and Anderlecht, Dembele is just two goals away from doubling his whole Tottenham tally within a single season. Clearly, Dembele’s ability was never in doubt. After all, there are few more dazzling sights than Mousa Dembele in full-flight, gliding past opponents with a turn of pace or see-it-to-believe-it shimmy. On the flipside, however, the frustration that accompanied Dembele’s penchant for the bare minimum, namely safe, square passes when any opportunity to shoot or sprint arose, wore increasingly thin. By strange circumstance therefore, the fact his pass completion rate this season (87.7%) is the lowest since his arrival presents itself as a positive. That accurate yet ultimately benign ball retention has been replaced by a probing, more creative approach this season. 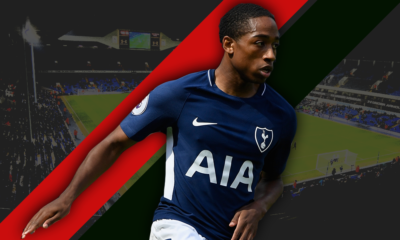 Pochettino’s deployment of Eric Dier in defensive midfield provides Dembele with reliable cover, allowing him to drive forward, stretch into a stride without fear of the consequences. previous three campaigns while his two key passes per game remains a career high. Against West Ham and Arsenal, Dembele and Dier dovetailed beautifully, the former Sporting youngster’s positional discipline allowing Dembele to break rank, press and probe. 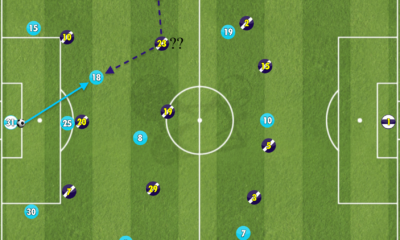 Thus, Spurs’ defence too is unrecognisable from the Federico Fazio-inspired chaos of yesteryear. “This is best team I’ve played in since I’ve been at Tottenham. Pochettino is very much aware of the way we play, the way we press and our mentality. Under Pochettino, Spurs are a different beast, their bite equalling their bark. The league’s youngest squad has come of age, raring to compete in the unforgiving real world. 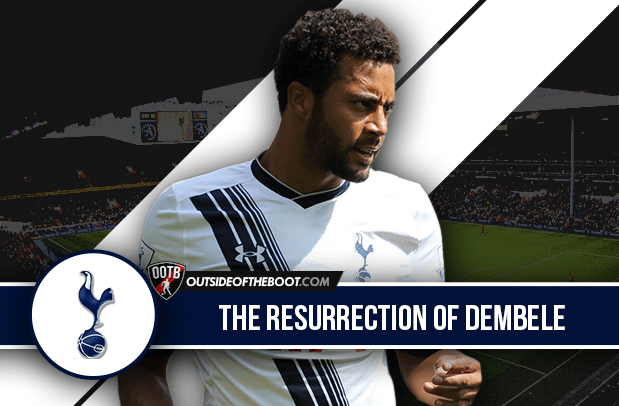 Mousa Dembele, at 28, appears ready to embrace this renewed importance. More inspirational performances, therefore, will go some way to making Champions League qualification appears less a wistful pipe dream, more a vivid actuality.